Honda Auto Center of Bellevue in Bellevue, WA is proud to serve the great city of Seattle. Our top tier team of auto specialists is standing by to bring you the best new and used Honda cars, trucks and SUVs available. Whether you're looking for a classic and stylish Honda Accord, a rough and ready Honda Ridgeline or a family-friendly Honda Odyssey, Honda Auto Center of Bellevue has what you need. We make it easy for you to shop with our no-pressure, no-hassle guarantee. We also make it easy for you to get pre-approved for an auto loan right from your computer. That's right! You don't have to leave the comfort of your home to be approved for a loan and to start shopping for your new Honda today! Our online inventory provides a wonderful selection of superior Honda vehicles for you to choose from. When you find the one you like, just let us know and we'll have it ready for you to test drive when you come in! When you're looking for a Honda dealership near Seattle, visit Honda Auto Center of Bellevue first. Our team cares about more than just selling you a great new or used Honda, we want to make sure you leave our lot happy and excited to explore all that Seattle has to offer in your new ride. You can check out the famous Pike Place Market and grab a bite to eat, or join your friends at the Museum of Pop Art before heading over to see the Chihuly Garden and Glass, or you might even want to head down to the world-renowned Space Needle. It's all possible in your new Honda! Of course, whatever you choose to do, be prepared to acquire a few stares as you drive. With the new lineup of Hondas' great looks and innovative style, you're sure to turn a few heads when you roll into town. Ready for a visit? Getting to Honda Auto Center of Bellevue is a snap when you're coming from Seattle, WA. You simply hop on the I-90 E and take it to exit 10B toward Factoria / Richards Rd. From there, you'll continue straight onto SE 36th St. You'll see us on the right hand side at 13291 SE 36th St Bellevue, WA 98006. Just look for the Honda emblem! Want turn by turn directions? Check out our interactive map and put in your exact starting location. We're less than 10 miles from downtown Seattle so getting here take hardly any time at all! Come Say Hello to our Honda Team! Whether you're coming from Seattle or Renton, WA, when you shop at Honda Auto Center of Bellevue, you're family. 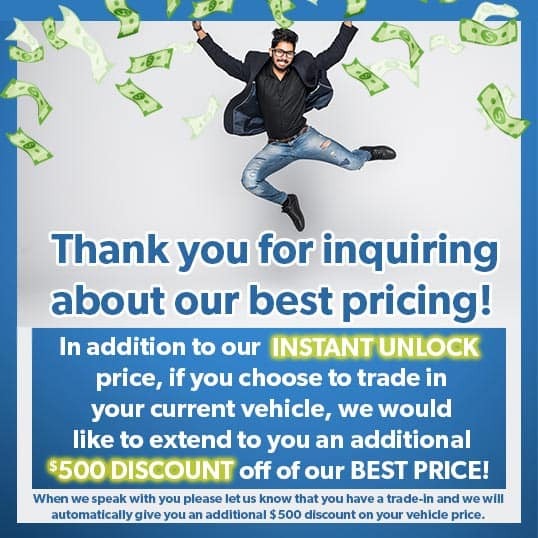 So come on over today and let our amazing staff of Honda experts help you find the perfect new or used Honda car, truck or SUV for your needs. We'll see you soon!